The anaplastic lymphoma kinase (ALK) mutation is a target for tyrosine kinase therapies in several cancers, including non–small-cell lung cancer (NSCLC). Since 2011, several ALK inhibitors have been approved, and more are in the pipeline, but many questions remain for managing patients with ALK-positive NSCLC. Jim Koeller, MS, Professor, Center for Pharmaco­economic Studies, College of Pharmacy, the University of Texas at Austin, discussed current challenges at the 2016 Annual Hematology/Oncology Pharmacy Association (HOPA) Oncology Pharmacy Practice Management Program. Between 2% and 8% of NSCLC tumors are ALK-positive. “This is a relatively small percentage, but when you’re dealing with the entire lung cancer population, 5% can add up pretty quickly,” said Mr Koeller. In NSCLC, ALK is rearranged to create the EML4-ALK oncogene, which leads to increased growth of cancer cells. “As with other diseases, this typically translates to a worse prognosis for patients,” he said. Current National Comprehensive Cancer Network guidelines recommend testing for ALK mutation in patients with NSCLC. “You need to do a genetic test, and you need to have tissue, which makes testing a little more difficult. But there are some clinical indicators that can lead you to the promised land,” Mr Koeller said. Most ALK-positive NSCLCs are adenocarcinomas and are not typically associated with smoking, and patients are often in their 50s (median age, 52 years). Several diagnostic platforms have been developed to detect ALK-positive disease. A fluorescence in situ hybridization probe is used most often, followed by an immunohistochemistry assay. Next-generation sequencing and reverse transcriptase polymerase chain reaction tests can also identify patients for ALK-targeted therapy, although these therapies have not been granted FDA approval. “In the diagnostic phase, there should be discussions in institutions with pharmacists included,” Mr Koeller said in an interview. “They need to talk about the appropriate genetic test, and which markers are known to identify with the disease.” The pharmacist should then be involved in treatment decisions based on test results. “There’s a reason to identify genetic markers, because these patients, on the right drug, can be effectively treated with very reasonable oral therapy, and can survive months to years. That’s a good thing,” he said. In 2011, crizotinib (Xalkori) was approved as the first ALK inhibitor. The National Comprehensive Cancer Network guidelines recommend ALK inhibition with crizotinib for the first-line treatment of patients with advanced-stage or metastatic ALK-positive NSCLC, but Mr Koeller does not recommend interrupting treatment when the ALK rearrangement is discovered during first-line chemotherapy. “I’m not sure it’s wise to stop therapy if a patient with stable disease is responding to treatment. I would continue until they no longer respond, then switch to the appropriate agent. But this timeline is not being met appropriately yet,” he said. Mr Koeller also emphasized the importance of pharmacists in delivering targeted therapies. But even with targeted therapies, cancer cells can develop resistance, and acquired resistance can be a major clinical challenge. Multiple mutations can confer resistance to ALK inhibitors, and these mutations may be heterogeneous, underlining the need for pathologists to collect as much tissue as possible for molecular testing. The central nervous system is a frequent site for ALK-positive NSCLC progression. According to Mr Koeller, brain metastases are associated with a poor prognosis, and some of these metastases can recur relatively quickly, creating a burden in the patient population with ALK-positive NSCLC. “Once you get brain metastases you see pharmacy costs, emergency room costs, outpatient and inpatient treatment costs, and other medical service costs skyrocket,” Mr Koeller said. The mechanisms of resistance in ALK-positive NSCLC brain metastases remain elusive. Ideally, future ALK inhibitors will need to penetrate the blood−brain barrier. The usefulness of rebiopsy at disease progression is contested, but Mr Koeller said that he strongly encourages making it standard practice to identify the patient’s need for another targeted drug, initiation of chemotherapy, or some other course of treatment. “There are a lot of reasons why this doesn’t occur—the patient doesn’t want to do it, or the surgeon doesn’t want to go back in—but I think we need to set this up in the pathway as a standard approach. That’s probably the way to move this forward,” he concluded. Maintaining a clean room compliant with US Pharmacopeial Convention Chapter 800 (USP 800) can come with a significant price tag, but noncompliance can drive up costs to oncology practices and institutions. However, certain measures can contribute to the successful construction, renovation, and maintenance of hazardous drug sterile compounding spaces in an oncology setting, according to Ryan A. Forrey, PharmD, MS, FASHP, Director of Pharmacy, Emory University Hospital Midtown, Atlanta, GA. Dr Forrey provided practical tips related to USP 800 compliance in clinical practice at the 2016 Annual Hematology/Oncology Pharmacy Association (HOPA) Oncology Pharmacy Practice Management Program. The USP 800 standard applies to the handling of hazardous drugs during their receipt, storage, compounding, dispensing, administration, and disposal, and affects all healthcare workers who perform these activities. The standard emphasizes that there is no “acceptable” level of exposure to hazardous drugs, but any exposure should be limited through the use of engineering controls and personal protective equipment. “USP 800 is about your work practices every single day, and as long as you have humans executing these practices, you’re going to have flaws, and you’re going to be noncompliant in some way,” Dr Forrey said. When dealing with nonsterile compounding, USP 800 allows for external venting (preferred) or redundant high-efficiency particulate air (HEPA) filtration of containment primary engineering controls. In sterile compounding, containment primary engineering controls must provide International Standards Organization (ISO) class 5 or better air quality, and can be located in an ISO class 7 buffer room with an ISO class 7 anteroom, or in a containment segregated compounding area (C-SCA). “This is important, because you don’t have to have a classified space to be able to do hazardous drug sterile compounding. And the cost of the heating, ventilation, and air conditioning system is one of the pieces that really drives up the cost of your entire project, and can also take up space you may not have in the building facilities,” Dr Forrey said. However, the consequence of using a C-SCA is that the beyond-use date of any compounded sterile preparation is limited to a maximum of 12 hours. “This is one of the things you might want to think about as you’re deciding on a renovation plan. If your facility is dependent on advanced compounding more than 12 hours in advance, then a C-SCA won’t work in your environment,” he added. A containment secondary engineering control is a negative pressure room that must be externally ventilated and physically separated from other preparation areas, but is not required to be ventilated through HEPA filtration. The USP 800 rule initially required it, but an erratum was published on May 27, 2016, to correct it. “It’s great if you do have HEPA filtration on the exhaust coming from your compounding room, but it can add a lot of cost to your project,” Dr Forrey said. Dr Forrey emphasized the importance of developing a program of requirements in advance of any facility planning. The program of requirements determines services to be provided, identifies future needs, and allows standardized planning for adequate space. “The important thing is not to consider your current space sufficient. Don’t limit yourself, because then you may not get to the right compliant design in the end,” he said. Construction costs and furniture, fixture, and equipment costs per square foot decrease with increasing size, but he recommends 50 to 100 sq ft of clean room for every primary engineering control, no less than 100 sq ft of clean room per anteroom, and 80 to 120 sq ft of “office space” per primary engineering control (an area distinct from a clean room space). According to Dr Forrey, some ways to cut costs while still maintaining compliance with USP 800 standards include removing HEPA filtration from containment secondary engineering control exhaust systems, changing stainless steel exhaust ducts to galvanized sheet metal, changing heating, ventilation, and air conditioning in C-SCA, removal of superfluous pass-through chambers to hazardous drug compounding, and purchase of an uninterruptable power supply. Visiting the site often to oversee construction is crucial, as is ordering equipment early and understanding whether “inside” or “white glove” delivery is needed, because special moving services for heavy equipment can significantly increase costs. “You also want to ask for construction documents and drawings and look at them very closely. Then if the wrong lights are used, you won’t be the one paying for them to be replaced,” Dr Forrey advised. He recommends planning for approximately 6 months of fine-tuning and system failures until everything works as expected. “Work closely with the contractors. Trust, but verify. And always walk through as much as you can,” he concluded. A clear set of standard operating procedures is at the heart of US Pharmacopeial Convention Chapter 800 (USP 800) compliance, according to Carol Yarrington, PharmD, BCOP, Oncology and Infusion Pharmacy Coordinator and Clinical Oncology Pharmacist, St. Joseph Mercy Health System, Ann Arbor, MI. At the 2016 Annual Hematology/Oncology Pharmacy Association (HOPA) Oncology Pharmacy Practice Management Program, Dr Yarrington provided some tips on how to address the new rule. USP 800 applies to the handling of hazardous drugs in healthcare settings, and includes requirements pertaining to activities from receipt to disposal, engineering controls and personal protective equipment, medical surveillance, personnel training, and hazard communication. “Regardless of the setting, USP 800 is going to cost us money, but it should improve staff safety and awareness of the risks associated with handling hazardous drugs,” she said. In recent years, the risks associated with exposure to hazardous drugs have garnered more attention, but according to Dr Yarrington, nothing about the drugs themselves has changed. “What has changed is an awareness that hazardous drugs put our staff, our patients, and their friends and family at risk,” she stated. Dr Yarrington said the most important change between USP 797 and USP 800 is that the guidelines now apply to physician practices in addition to pharmacies, hospitals, healthcare institutions, patient treatment clinics, and veterinarian offices. “This could mean big changes for private practice,” Dr Yarrington added. All institutions under the USP 800 rule are required to have an occupational safety plan for hazardous drugs. This document should incorporate the requirements of the rule, and must include, at a minimum, engineering controls, training of personnel (not limited to pharmacy staff), safe work practices, proper use of appropriate personal protective equipment, and policies for hazardous drug waste segregation and disposal. To create this plan, Dr Yarrington recommends referring to the Occupational Safety and Health Administration, as well as to state and local level requirements. The implementation of a closed-system transfer device for hazardous drug administration is now required, and this can be one of the most expensive parts of achieving USP 800 compliance if organizations are not already using closed-system transfer devices, she said. 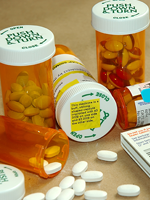 Institutions must create and maintain a list of hazardous drugs at their practice setting. If resources are scarce, she recommends adopting the National Institute for Occupational Safety and Health (NIOSH) list of antineoplastic and other hazardous drugs. “If your list doesn’t match the NIOSH list, meaning you have less drugs on your list than on theirs, you’d better have good documentation as to why,” Dr Yarrington cautioned. In this instance, a risk assessment should be performed to explain discrepancies. USP 800 also requires the identification of the various types of exposure to hazardous drugs in a practice setting. “The good news about this requirement is it’s usually a one-time project that only has to be updated if you start doing new procedures,” she said. To avoid breaches in safety, individuals or teams should be identified to assess ongoing compliance, and all personnel handling hazardous drugs in an organization must learn proper precautions to avoid cross-contamination. According to Dr Yarrington, achieving a USP 800–compliant facility is the biggest and most expensive challenge. “In designing your sterile compounding space for hazardous drugs, you need to enlist expertise in the design of the room, in the engineering controls needed to meet negative and positive pressure requirements, and in USP 800 knowledge. That’s at least 3 people, but it will likely involve more,” she explained. Another novel requirement of USP 800 dictates that hazardous drugs be stored in a negative pressure space with ≥12 air changes hourly (as opposed to clean rooms and International Standards Organization 7 anterooms requiring 30 air changes hourly). In addition, designated areas must be available for receipt and unpacking of antineoplastic hazardous drugs (neutral or negative pressure), nonsterile hazardous drug compounding (negative pressure), and sterile hazardous drug compounding (negative pressure). The guidelines also require a positive pressure anteroom (which can create challenges because hazardous drugs can no longer be stored in the anteroom), and a negative pressure buffer room. “If you’re the person at your institution responsible for learning USP 800, stick to your guns regarding the guidelines. Because when you get inspected, they’ll use a checklist to make sure you’re compliant with everything on the list,” Dr Yarrington advised attendees. Environmental wipe sampling for hazardous drug surface contamination should be performed every 6 months, and can be costly, approximately $1500 to $2000 per kit, which allows for the testing of 6 spots for the presence of marker drugs. “They’re called marker drugs because they stick around for a long time, and you want to keep track of where you test so that when you do repeat testing, you sample the same places,” she explained. There is no current standard for acceptable levels of hazardous drug contamination, so levels must be undetectable. Appropriate personal protective equipment must be worn during every step of hazardous drug handling, and Dr Yarrington recommends consulting the NIOSH guidelines for appropriate personal protective equipment for various situations. Double gloving is required for compounding, administering, and deactivating and decontaminating, and she suggests the use of 6-mL or thicker gloves to reduce the risk for tearing. “You should also learn what agents your gloves have been tested with, since certain agents like thiotepa can eat through gloves,” she said. A hazard communication program should be created and shared in USP 800−compliant institutions. This tool includes language about hazardous materials of any kind (from chemotherapy to cleaning chemicals), and should provide readily available safety data sheets. “Consider including a right-to-know document so that individuals know their risks,” she suggested. Medical surveillance of staff should be conducted at baseline and continued until exit assessment, and data elements collected should include a medical—including reproductive—history and work history to assess exposure to hazardous drugs, a physical examination, and laboratory testing, and should also include a follow-up plan for employees demonstrating changes during surveillance. All institutions to which the USP 800 standard pertains should be fully compliant by July 2018. “USP 800 compliance does require ongoing oversight, and it will be especially tough for some physician’s offices. But I’m excited about it; it teaches staff how to be safe,” Dr Yarrington added.